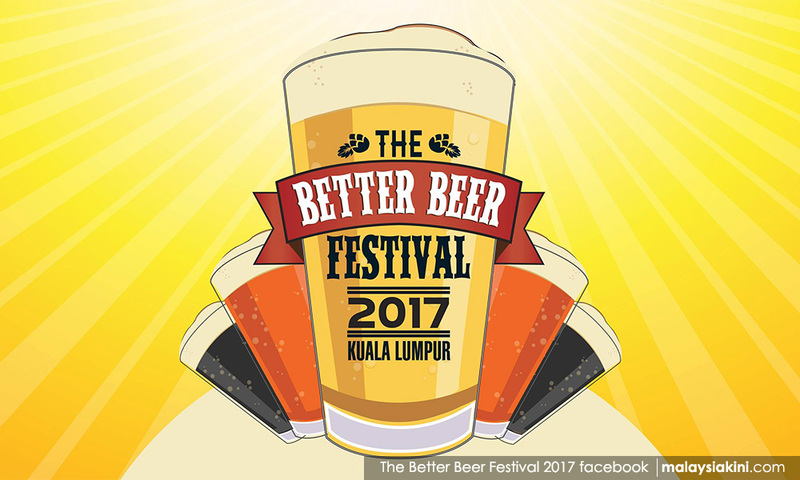 The "Better Beer Festival 2017" was cancelled due to political sensitivity surrounding the event, said the organiser today. In a statement, Mybeer (M) Sdn Bhd expressed disappointment with the cancellation of the event, slated to be held on Oct 6 and 7 at the Publika mall in Solaris Dutamas, Kuala Lumpur. "At our meeting with officials of Kuala Lumpur City Hall (DBKL), we were instructed to cancel our event, as there are issues with the licensing. "We were further informed that the decision was made due to political sensitivity surrounding the event," the organiser said, further expressing regrets over inconvenience caused the by cancellation to patrons, partners and sponsors. Meanwhile, Kuala Lumpur Mayor Mohd Amin Nordin Abd Aziz has declined to comment on this matter. "No need (to comment). Yes, it is a sensitive issue," he said after attending an event at the People's Housing Project (PPR) Seri Aman in Kepong this evening.